Domestic manufacturer, Lava, has today launched Lava Iris Alfa, a quad core handset with an affordable price of just 6,550 INR. The basic handset will compete with Android One phones and is available for purchase across all major retail stores starting today. Lava iris Alfa has a 5 Inch fully laminated IPS LCD display with 854 x 480 FWVGA pixels spread across it. The display is not very sharp but should be usable for first time users. The handset is powered by 1.2 GHz quad core processor (details unspecified) with 1 GB RAM and 8 GB internal storage, further expandable by another 32 GB using MicroSD card support. Imaging hardware includes 5.0 MP Auto-Focus rear camera with LED Flash and a VGA front camera. 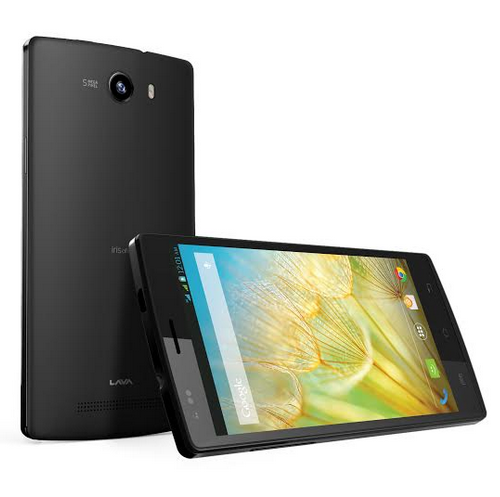 This 9.3 mm thick smartphone will be running Android 4.4 KitKat operating system out of the box. The software also includes preloaded apps like Truecaller premium, Rs. 2000 worth free downloads offer on Hungama Music app, a multimedia app for entrainment & Adaptxt that supports 11 Indian local languages. Other features include Wi-Fi, Bluetooth, USB, 3G/Edge connectivity, GPS and a 2200 mAh battery.